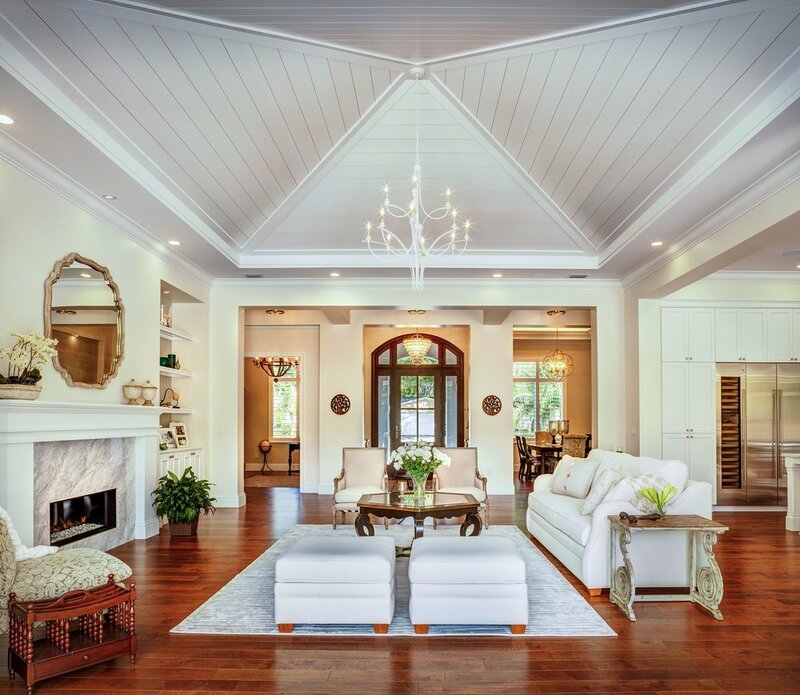 Clean, island-inspired lines abound inside and out of this stylish custom home. Through the wide motor court and rich, custom hardwood entry door is a stunning Great Room with lagoon style pool, spa and sparkling lake backdrop. 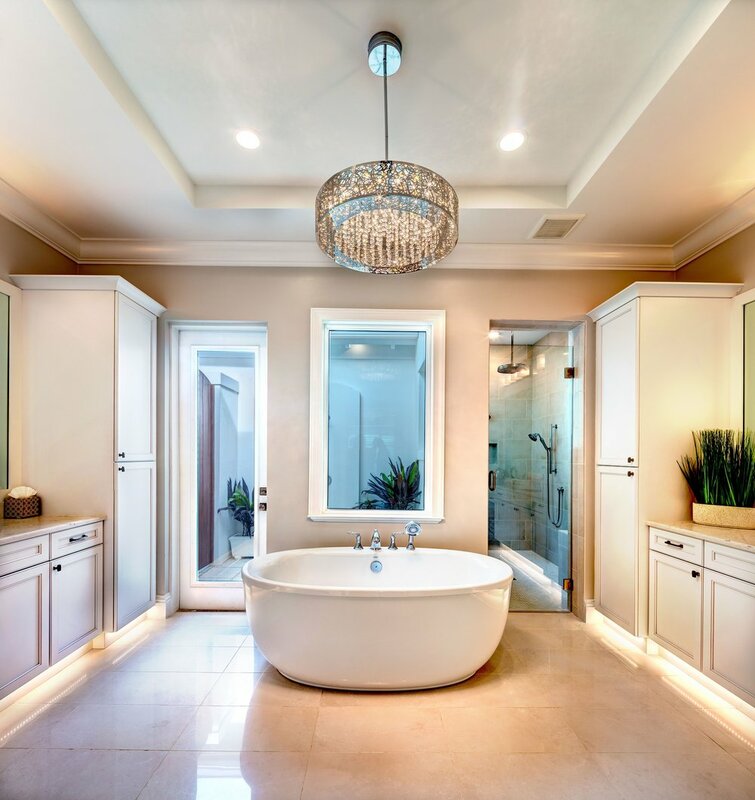 A wide formal Gallery beckons the eye through to the Owners' Suite, which includes a voluminous vaulted ceiling in the Owners' Bedroom, Sitting Area, and luxurious Owners' Bathroom with tropical outdoor shower. The sophisticated Kitchen is anchored by a grand custom cabinetry island, chef's grade appliances, walk-in pantry and more. 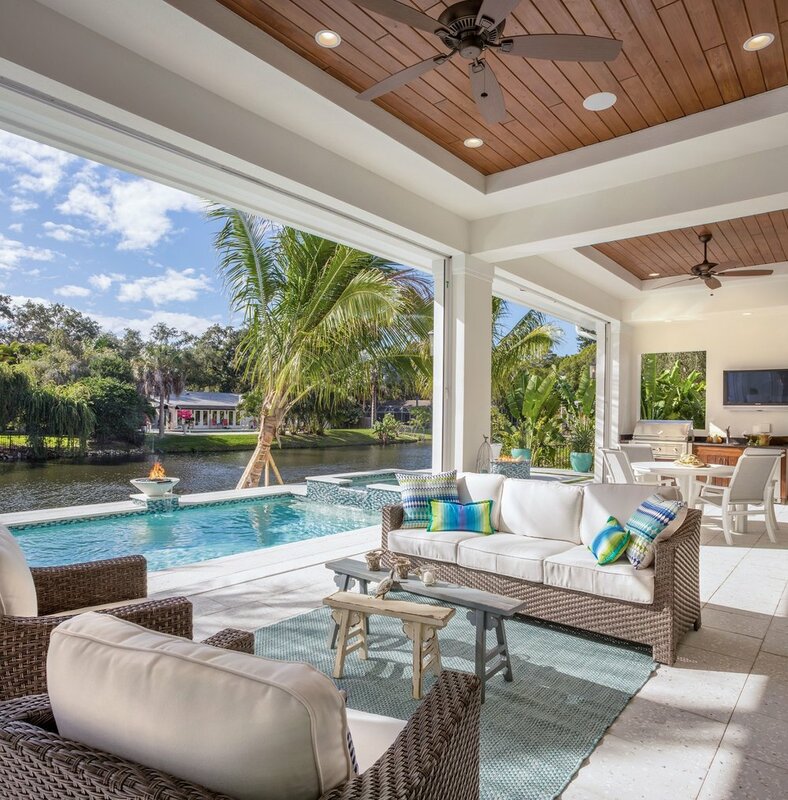 This elegant and sophisticated custom home seamlessly draws the outdoors in with its sweeping Lanai, Outdoor Dining, Summer Kitchen, pool and spa, hardscape seating and outdoor fire pit.